De Colve - Contribute with your story! 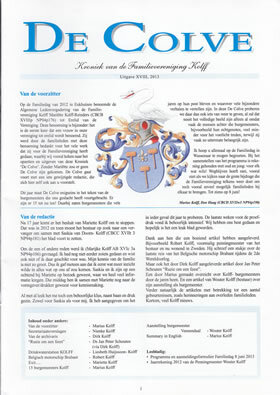 Contributions by members of the family, but certainly by others too, for De Colve, the annual bulletin of the Kolff Family Assocation, are always welcome. everybody surely has something that is of interest to others. Send your contribution to the Editors De Colve.